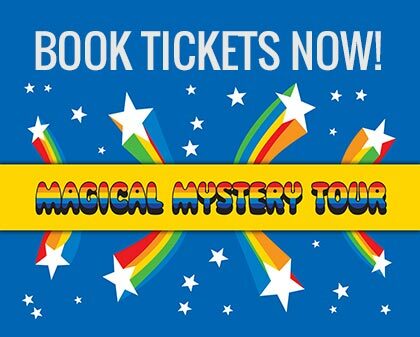 Meet your guide at the Magical Mystery Tour Ticket Office, Anchor Courtyard, Albert Dock, Liverpool L3 4AS 10 minutes before your tour departure time. The ticket office is open 7 days a week from 9.30am to 4.30pm and sells a great range of souvenirs, maps and postcards as well as tickets for all the upcoming shows at the Cavern. Tel: 0151 703 9100. 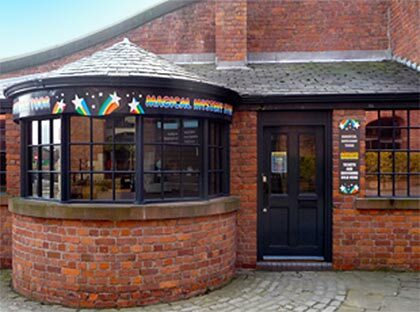 The Magical Mystery Tour finishes at the Cavern Club, 10 Mathew Street, Liverpool L2 6RE. Liverpool ONE Car Park, Strand Street, Liverpool L1 8LT is a few minutes walk from the start and finish points. Many more Beatles locations will be pointed out as you travel around the city centre and suburbs. The Magical Mystery Tour is the only Beatles tour that finishes at the legendary Cavern Club. Tour tickets also give you free general admission to the Cavern in the evening of your tour date. Check what’s on at the club on the date of your visit.